Eid is a very festive occasion for Muslims all around the world, we all celebrate the end of Holy Month of fasting "Ramadhan-al-kareem", and thank Allah for all His kind blessings on us, with our families. This day also brings "EIDI" a token of love in cash from elders for every one. 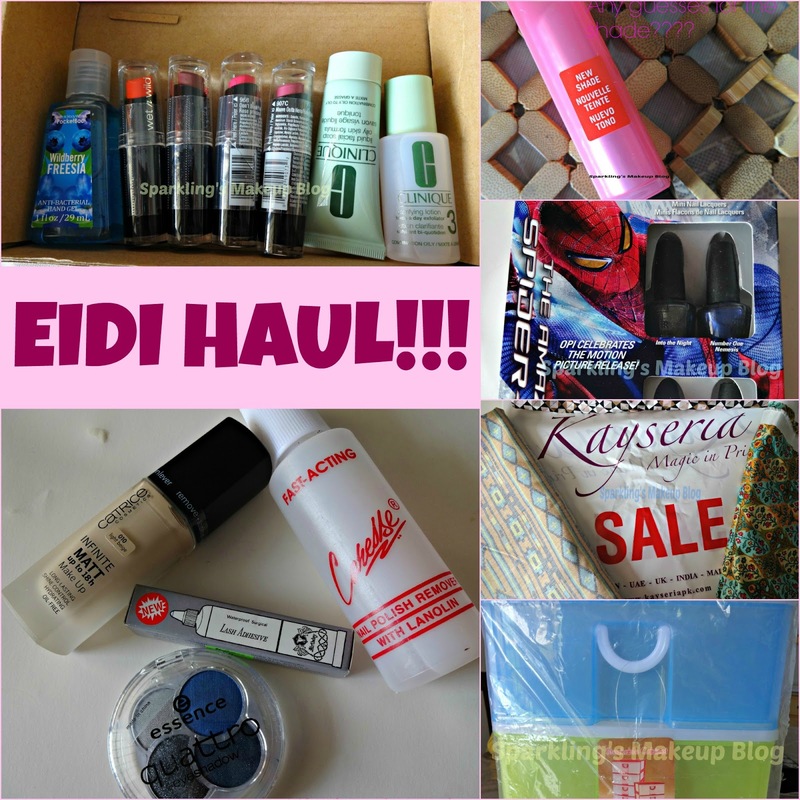 As a kid I don't remember what particularly I did with my "Eidi", but this year I had a LONG WISHLIST to spend my Eidi on. Wanna know what I got??? To Reveal More Read More!!! 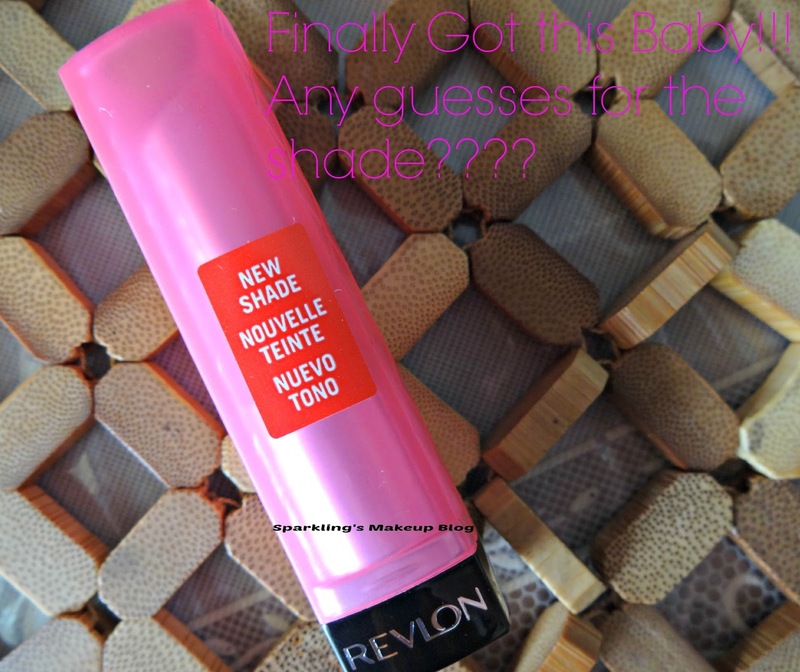 I had Revlon Lip butter from a long time on my wishlist, when in the last week of Ramadhan I spotted Rouge offering the latest LE shades in such a reasonable price, I ordered "Sorbet" right-away. At that time the price was Pkr 1050/-. Thank you Rouge owner for such a speedy delivery to my Mom's place in Lahore and that too with a kind gesture of yours. I'll be reviewing it soon as I love it soooooooooo MUCH!!! Another top most items on my wishlist were Wet n Wild Lipsticks, and who else can arrange them on a reasonable price than Shopaholic. 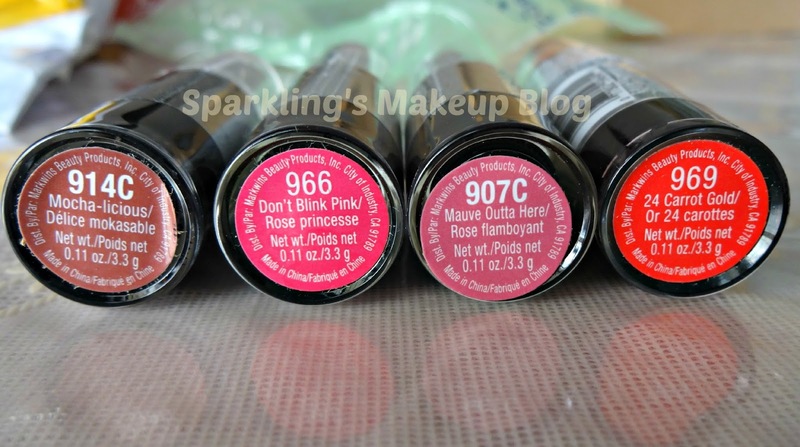 I ordered four shades Mocha-liscious, Dont Blink Pink, Mauve Outta Here! and 24 Carrot Gold. 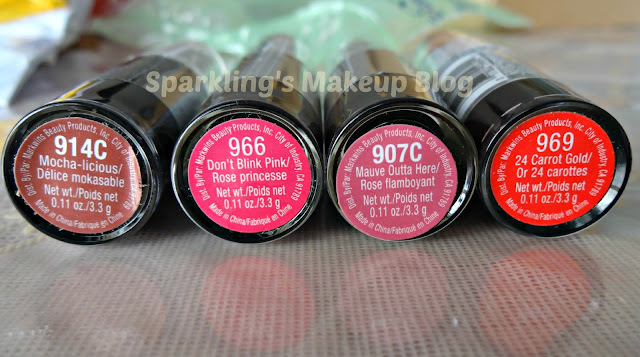 Pkr 485 each. I chose Bath & Body Works Hand Gel in "Wildberry Freesia" for Pkr 275/-. The clinique samples are a friendly gift from the owner. This time I had many First timers in my wishlist. 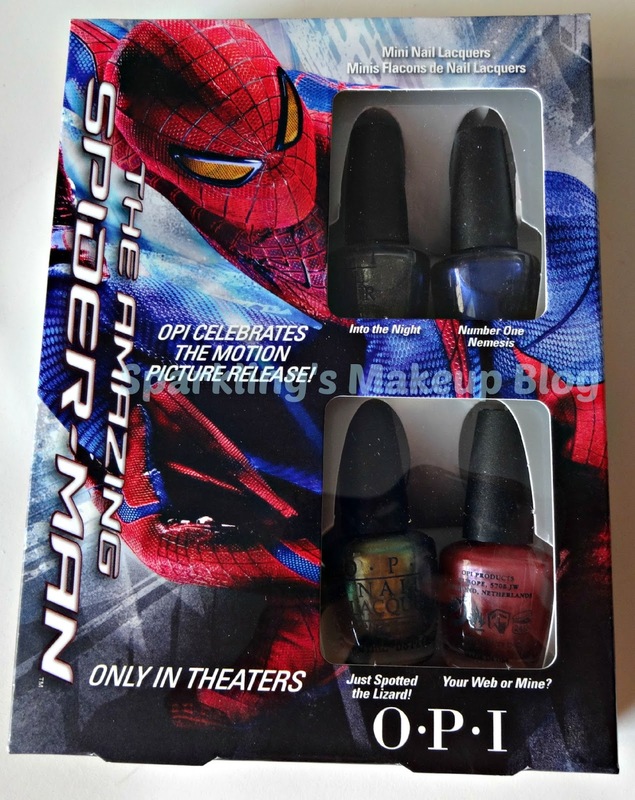 O.P.I is also a new entry in my Nail polish collection with the purchase of this minis collection of Spiderman, although it has many creepy names like "spider" and "lizard" but the bright minis has so fabulous shades, I couldn't resist but invite "spider" and "lizard" into my stash:p I ordered it from Daraz.pk for Pkr 1400/-. 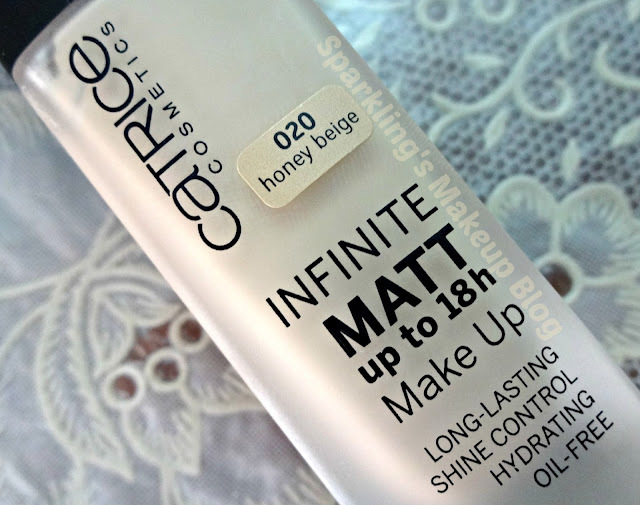 I wanted to buy a Matte foundation and Bourjois 123 was on my top wishlist, but after Eid the weather has changed a bit esp in Islamabad, the Winter winds are coming and its almost Fall so I chose Catrice Infinite Matt as it gives semi-matte finish, as reviewed by Sara Hassan. I went to Hayee's F-7 branch and got Catrice Infinite Matt in 010, as emphasized by the sales girl that it suited me, but it looked too ashy on me, I was so disturbed but they have been very nice to exchange the shade for me, now I own Honey Beige #020, I am really grateful to the customer friendly services of Hayee's. 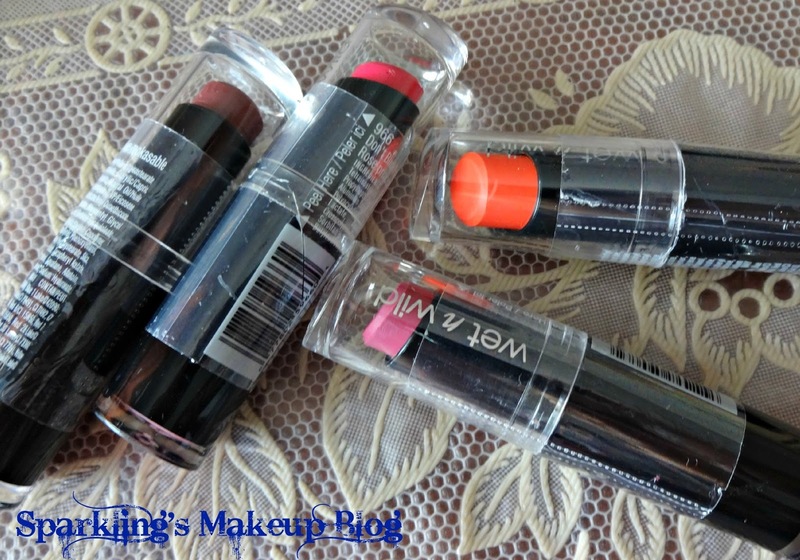 I got it for Pkr 1245/-. 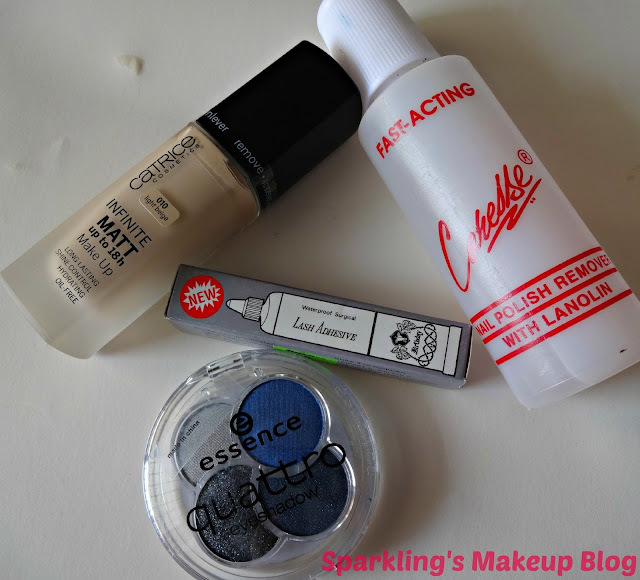 I picked Essence Quatro in Denim as I lacked good eyeshades in Blue colour. 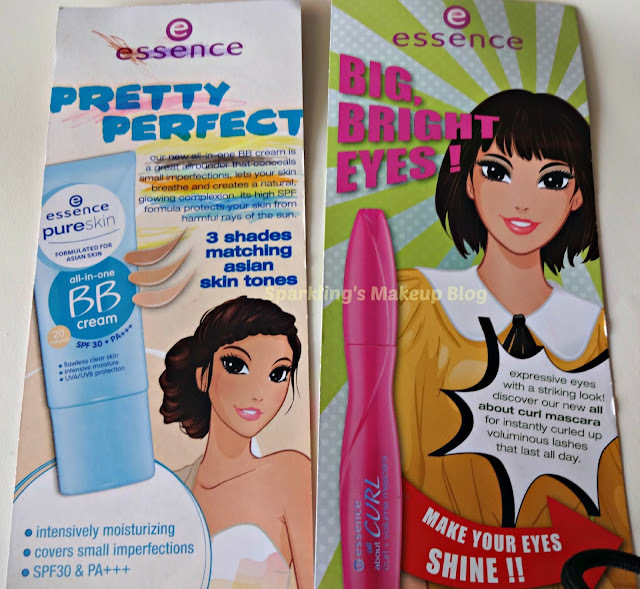 This one is for Pkr 530/-, I know its available for Pkr 490 on an online store but a product in hand is far more better than delivery charges and waste hassles :) I needed a Nail Polish remover, till date I believe to have these in economical price range, got this one for Pkr 70/-. I have planned few makeup looks, have few of my used lashes so thought of purchasing an eye lash glue, its from "Birthday" and cost is Pkr 50/-. 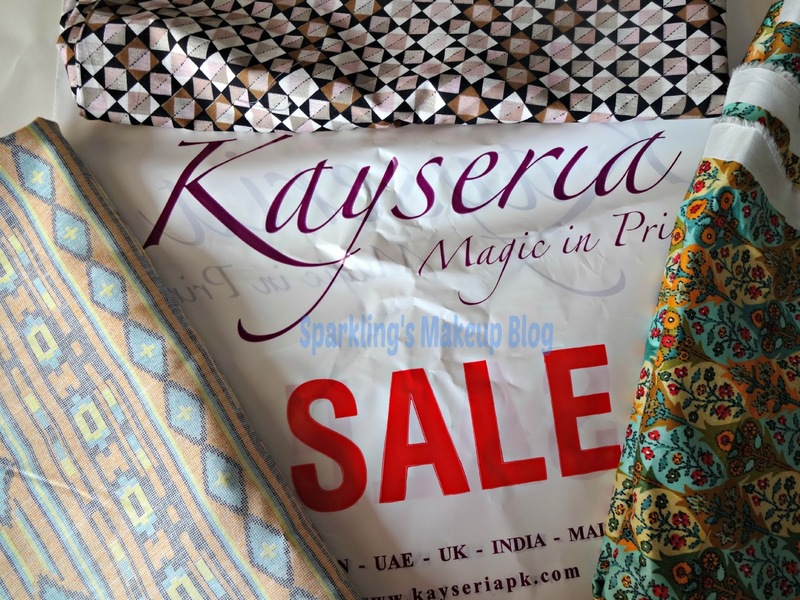 Who can miss KAYSERIA's Sale??? Not me!!! I went there and instead of choosing any thing from their Summer stuff I grabbed three shirts from the Winter stuff. So smart!!! as Winters are approaching. For the bill I paid from my savings and half payment was contributed from my Hubby's pocket. I got two shirts for Pkr 640/- each and one for around Pkr 700/-, stuff is cotton and karandi. This is what I have been wanting since long to organize my stash, but now it is under use of my daughter stuffed with her toys and JUNK...lolz I bought it for Pkr 650/- from local market. 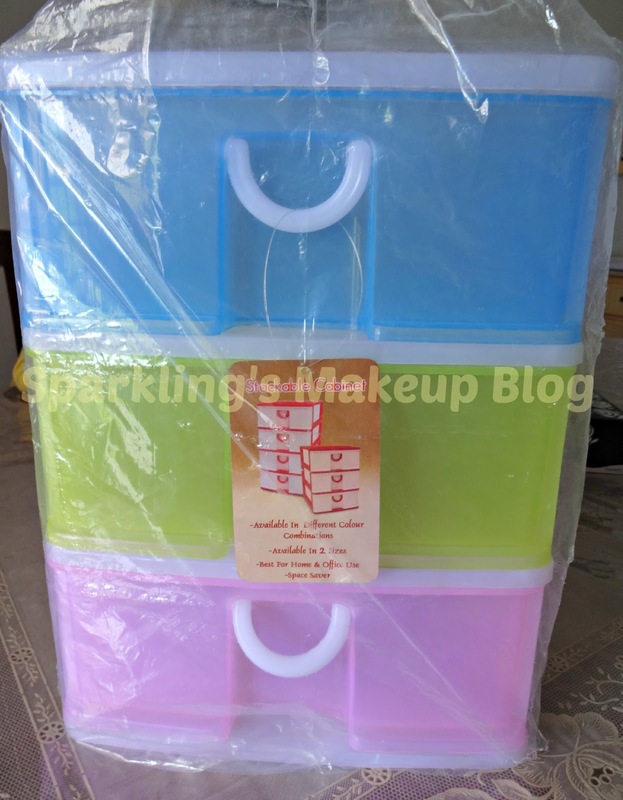 And this my friends is "Future Temptations"... yes as even after having this much (MASHA-ALLAH) I am craving for more, that's the true spirit of a Beauty blogger and Makeup maniac like me. 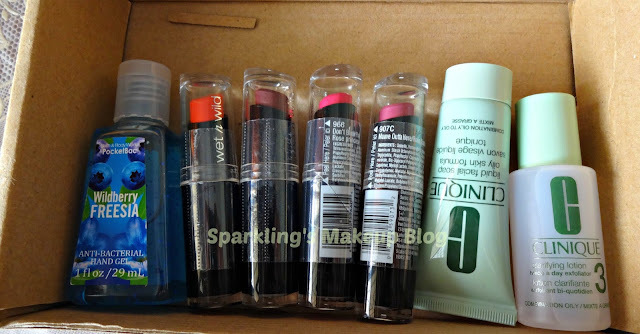 So wait until I shop more and more and MORE!!! Hope you like this EIDI special Haul post. Do share your views, comment, share, like, tweet, G+ and Pin IT. What did you get from your EIDI??? wow love all th picks.every thing seems to be carefully considered.I especially like kayseria haul and the stacked drawers. Hey hello which camera you use ???? ?